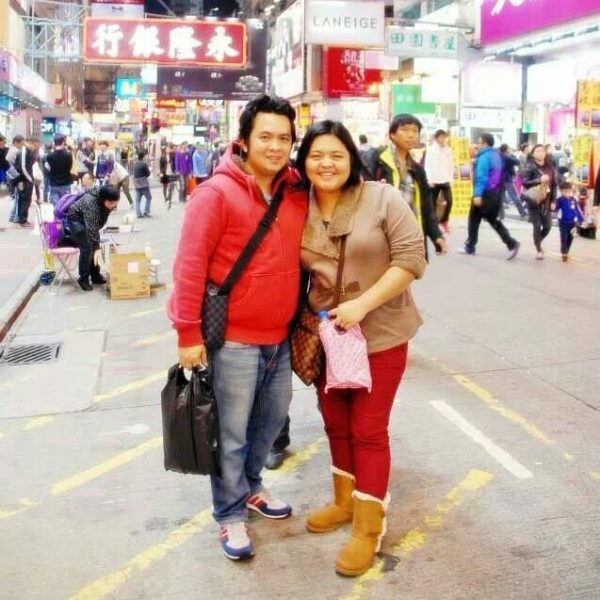 Just like millions of Filipino people, my husband and I also frequently visit SM Stores. 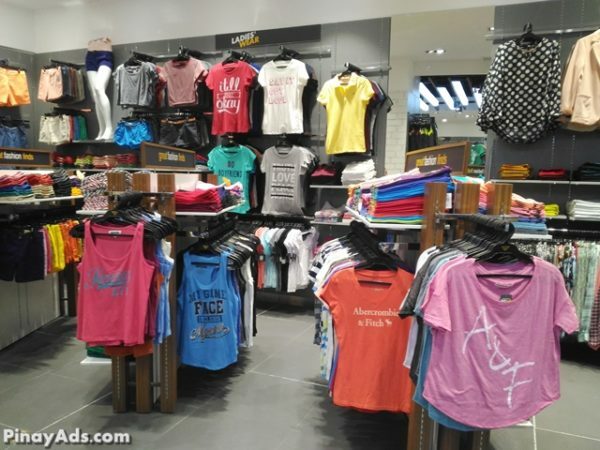 Our malling (or even just a window shopping date) would not be complete if we can’t enter one shop located inside any SM Supermalls – the SURPLUS. 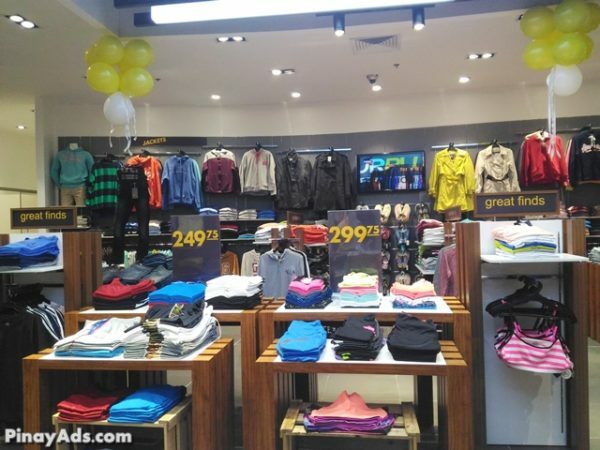 Whenever we plan to buy clothes, we sort of have a silent agreement that we buy them at Surplus because mainly, the prices are lower as compared to others. In addition to the price, of course, the quality of the items sold is great plus they have a lot to offer, from discounted items to other “must-haves” that never goes out of style plus the latest fashion, too! Some of the items we usually buy at Surplus are board shorts, jacket and shirts to name a few. 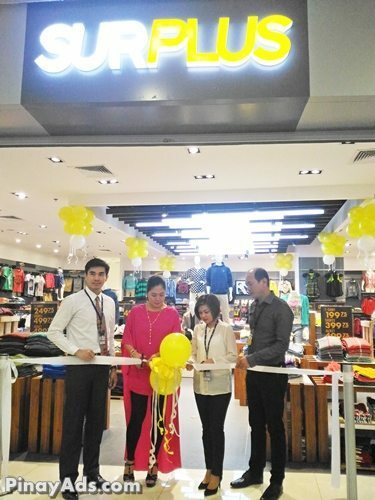 Obviously, because I am a “patron” of Surplus, when I was invited to witness the ribbon cutting ceremony of the newly opened (relocated, actually) Surplus at SM City Masinag, I gladly accepted the invitation. 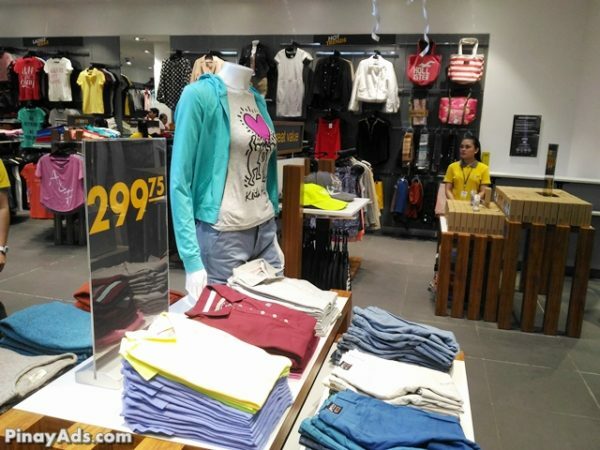 SURPLUS at SM City Masinag is now located at the upper ground floor near David’s Salon. It was previously located near Razon’s. Illuminating the store’s entrance is the Surplus’ signature bright signage that seems to invite every shopper to come and discover a treasure trove of great fashion finds at an affordable price. Surplus store’s newest look indicates a brand new identity. It seems to energize the shopping atmosphere with its curved walls and walk path that creates a seamless transition from one area to another. On contrary, the tiles, which are dark gray in color, form a circular spot at the mid portion of the store that signifies the variation of the merchandise sold at Surplus. I was amazed at how the newly opened Surplus is interiorly designed to invite more shoppers to come and visit the Shop. 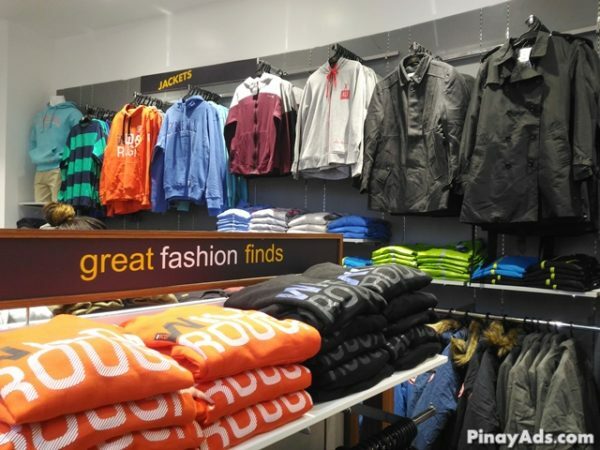 From the tiles, lighting, modern day graphics and the LCD television, they all complement each other of giving the customers a renewed place to visit when talking about great fashion finds. Lightings provide an urban but youthful ambience, while the modern day graphics gives each shopper a feeling of excitement. To let the customers know where and how to mix and match certain wardrobes, store windows are appropriately displayed, as well as, LCD television sets that play fashion videos can be watched. In addition, shopping at the new Surplus store is a breeze as the items are labeled according to their categories. The store’s new edgy look likewise brings forward a lifestyle that is so now, new, and fun! Shoppers will still continue to enjoy discovering new styles by being able to experiment with their fashion sense without having to spend more at Surplus. If one is in for a trendy tee matched with a short or even a pair of pants, he can find these all at one place – Surplus – with great savings! As for women, who loves fun and fab tops, as well as pretty and flirty skirts, Surplus has it all, too! Of course, fashion will never be complete without accessories, including trendy shoes, fashionable bags and other novelty items. 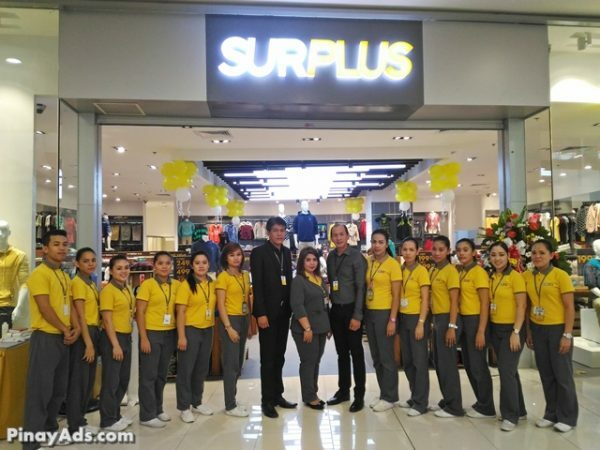 So, for all your fashion needs at a lower price without compromising the quality and your fashion sense, you can now visit Surplus at the Upper Ground floor of SM City Masinag. They also have a new store at at Walter Mart Tanauan. 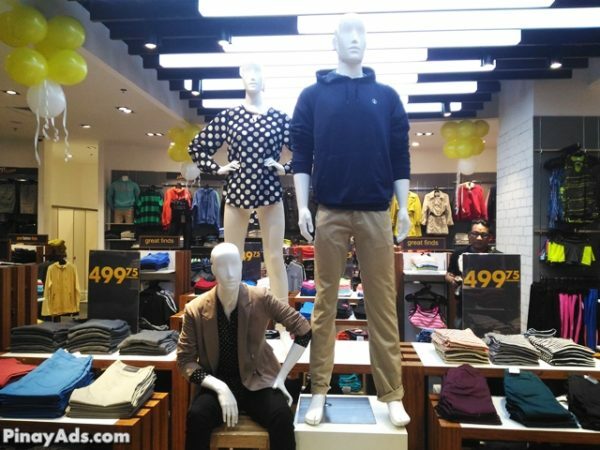 For the latest happenings, you can LIKE Surplus’ Facebook Page and Follow then at Instagram @Surplus_ph and Twitter account @SurplusPh and enjoy great fashion deals.